Hall of the Mountain King: Review: Buck Satan and the 666 Shooters, "Bikers Welcome Ladies Drink Free"
Review: Buck Satan and the 666 Shooters, "Bikers Welcome Ladies Drink Free"
Ever ask yourself what Al Jourgensen, main man of industrial metal pioneers Ministry, would sound like if he decided to go country? Yeah, me either. 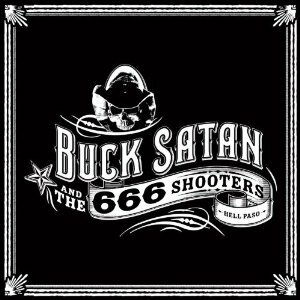 Sadly, Jourgensen has decided to answer that question for us with his side project Buck Satan and the 666 Shooters, which also includes Rick Nielsen (Cheap Trick), Tony Campos (Static-X) and Mke Scaccia (Ministry/Rigor Mortis). You can tell by the band name that Bikers Welcome Ladies Drink Free, out on AFM Records, isn’t exactly a serious country project. Unfortunately, it doesn’t really work as humor and ends up sounding more like the joke band playing in the corner of a dimly lit dive bar in a Rob Zombie horror flick. Granted, that could have been interesting if done right. This isn’t. I guess the guy’s got to do something now that he can no longer obsess over George W. Bush, but I don’t think this is the answer. 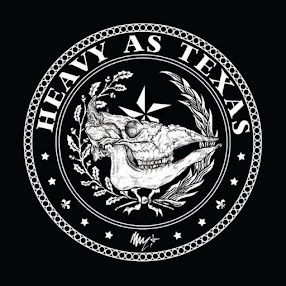 Review: King Giant, "Dismal Hollow"
Review: Lacuna Coil, "Dark Adrenaline"
Review: Pharaoh, "Bury the Light"
Still Spinning: Motley Crue, "Motley Crue"